Prepares real leather for dying in a more gentle way than traditional acetone. 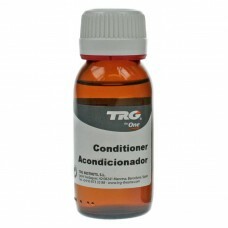 Prior to applying any leather dye that dosn't already have a built in preparer, you should apply this. You do NOT need this for our Leather Dye Kits as they have a preparer built in. You DO need this for Leather Dye that does not have a preparer built in.